The newly-unveiled 2107 Skoda Octavia not only comes with an updated design and new styling elements, but also brings a wide array of changes in terms of gadgetries inside. And recently, the Czech based carmaker has also announced the fitting of the new Skoda Connect system on the car. We are looking here at a new and highly-sophisticated infotainment system which is set to improve the driver`s capabilities while behind the wheel of the new Octavia. For instance, if the driver has to commute and drives through heavy traffic every day, the infotainment`s Online Traffic app provides him with real-time traffic situations, including traffic conditions, weather forecast, offering as well alternative routes. There are also the now standard Google Street View and Google Earth available on the system, as well as the Online Map Update system which automatically updates the existing routes. 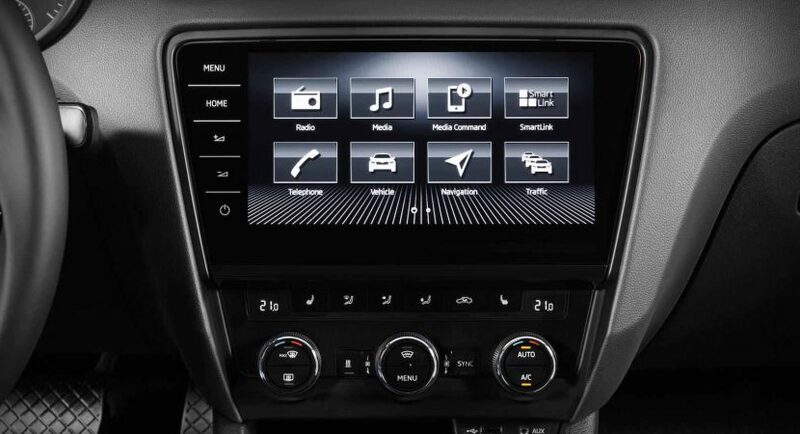 The new infotainment system also brings another important feature onboard, which is the long-expected Care Connect feature, this one coming with the eCall system which allows for emergency calls whenever the situation is given, for instance a car crash or an engine failure. On the other hand, the Proactive Services keeps track of the car`s entire electric systems and alerts the driver whenever the car needs servicing. There are also important characteristics that the new infotainment system is bringing fresh, such as parking locations, Honk & Flash feature, adding a plethora of safety systems, including city emergency braking, rear cross-traffic alert, pedestrian detection, blind-spot detection and much more. The video below better explains the car`s new infotainment system. Enjoy!